For today’s hop, the theme is “Stamps you’ve only used once” or for many of us it’s “Stamps we have never used”! You should either be starting here (continue until you make your way back), or coming from Judy’s Blog. 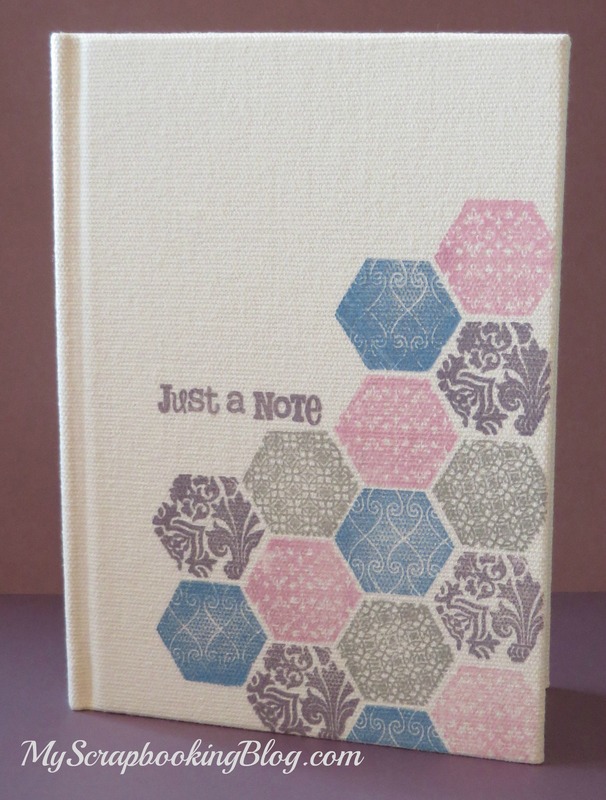 I was thrilled when Close to My Heart came out with a hexagon shape stamp set, however I hadn’t used it yet. Many times the things I am excited about somehow never get used so I chose this one because sometimes once I use a stamp set I will remember it and use it more. Supplies used are all Close to My Heart: My Creations Canvas Journal (while supplies last), Pigment Inks (Slate, Cotton Candy, Indian Corn Blue, and Smokey Plum), Honeycomb Stamp Set, and Noteworthy Stamp set (retired). Tips: When stamping on canvas choose an image that is a bit forgiving because it isn’t a solid platform like paper. Use pigment inks and make sure your stamp is well covered with the ink. Press firmly and hold for a bit. These tips helped me with this project and it turned out better than my first time stamping on canvas. Now hop on over to visit Shirley!